Stay tuned for upcoming events for Concordia Music Parade in near future. 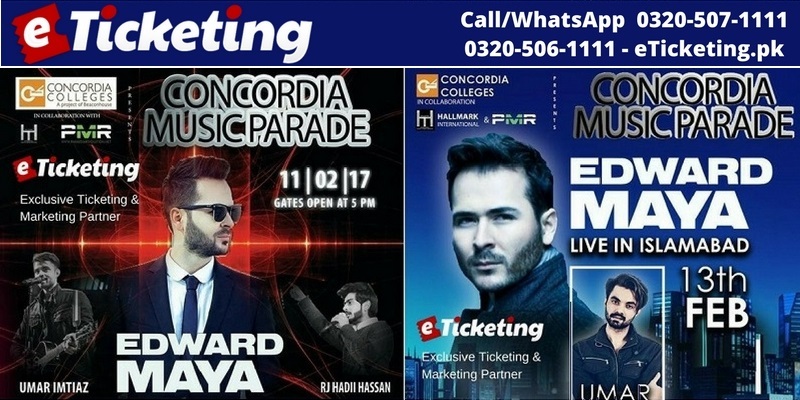 Concordia Music Parade is being held by Concordia Colleges in collaboration with PMR (Pak Media Revolution) and Hallmark International Events & Media Services. Music fans in Pakistan get ready for Concordia Music Parade. Don't miss out as this is going to be the biggest music parade ever. Come to Concordia Music Parade 1.0 at Alhamra Cultural Complex (Gaddafi Stadium) on 30th January 2017. Let the BHANGRA KING "RDB lift you up. #TheRealRDB, international Desi Sensation will entertain the concert goers in Lahore. 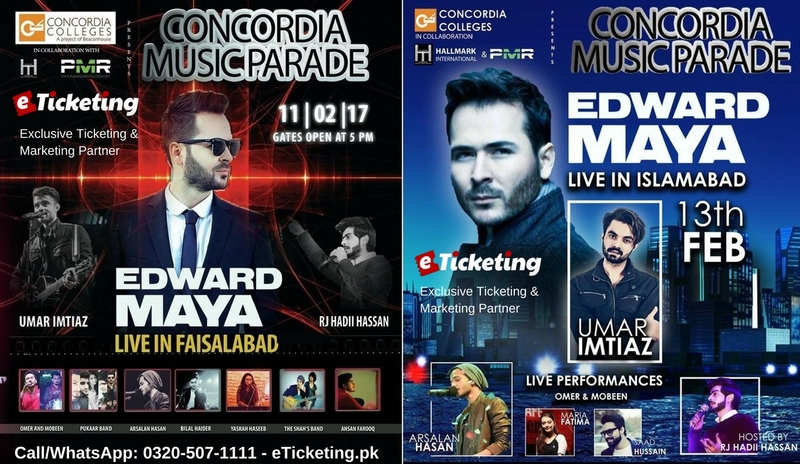 Concordia Music Parade 2.0 featuring Edward Maya is set to take place on 11 February 2017 in Faisalabad. Enjoy the sensational songs and tunes by the international King of EDM Romania. Watch the Stereo Love fame singer present soulful Mayavin Music in front of you. The shows are going to be massive success as Umar Imtiaz - The Youth Heart stirrer will also be setting fire on stage. A number of other super talented singers and bands are also set to play. List includes the following music acts. Hallmark Events is an event management company looking out for Models , Volunteers , Promoters etc for different events which take place in Duba & Pakistan organized by us. We will always try our best to provide our team with the best and lot of recognition in the market. We will keep updating you with events that come up and the requirements we need from you in order to audition for the certain event. Please feel free to join this group and contact us. Effort of an individual (hallmark events) to focus on individual or group-centered interest, activities, ideas, events, jobs, freelance, advertisements etc etc. Its a community where you're free to be yourself, express anything your way be it about business or personal social activities. We're here to Build and Reflect! PMR: EVERYBODY PROMOTES MAINSTREAM ARTISTS BUT WE, YES WE WILL DO THAT TOO BUT SERIOUSLY OUR MAIN FOCUS WOULD BE THE UNDERGROUND / NEW TALENT. PAKISTAN, COME WHATEVER MAY, IS BLESSED WITH A LOT OF TALENT. Best Viewed at 1024 x 768 pixels and above. This Page loaded in 0.06456 seconds on Tue, Apr 23, 2019 (21:35).